Harvard Business School recently published a new case study about Al Islami Foods, the leading Halal food company in the Middle East. The 65-member delegation expressed their keenness to know more about Halal economy and appreciated Al Islami’s efforts towards building a strong Halal economy in the region. An Al Islami spokesperson said that awareness about Halal food has been increasing exponentially among Muslim and non-Muslim residents in the CIS countries. Just as the emirate has set itself a three-year target to be the hub of the global Islamic economy, so Mr Lootah has set his sights high in the food industry. While Islami Food is a leading halal industry in the UAE, Lootah expected an increase in the number of investors in the halal market. 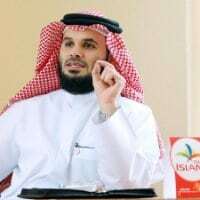 Al Islami Foods announced that it will soon establish a new state-of-the-art food processing facility at an investment of Dhs100m, to meet the increasing regional demands for high-quality halal food products.